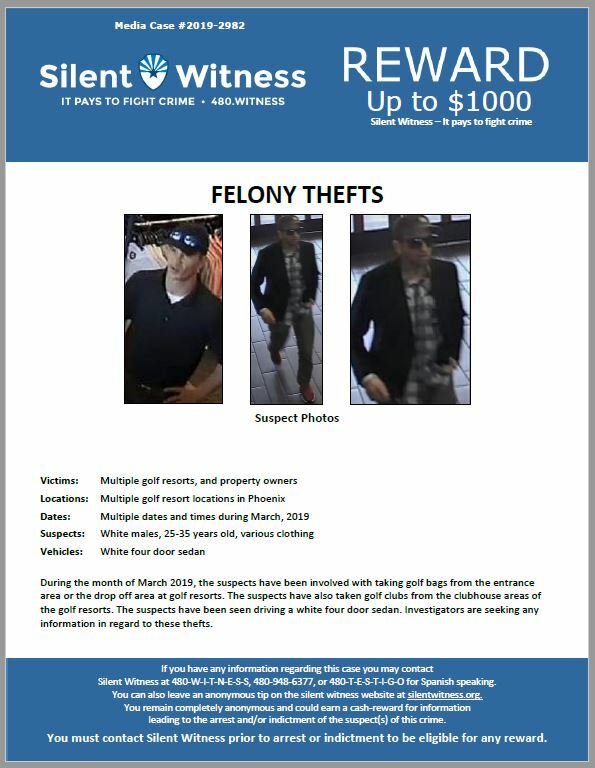 During the month of March 2019, the suspects have been involved with taking golf bags from the entrance area or the drop off area at golf resorts. The suspects have also taken golf clubs from the clubhouse areas of the golf resorts. The suspects have been seen driving a white four door sedan. Investigators are seeking any information in regard to these thefts.